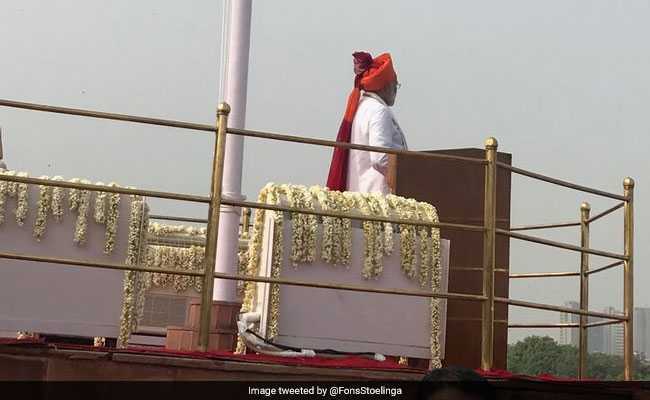 Indian Independence Day 2018 Highlights: PM Narendra Modi Says, "Parliament Session Devoted to Equality"
Independence Day: PM Modi said the country is filled with confidence and is scaling new heights. 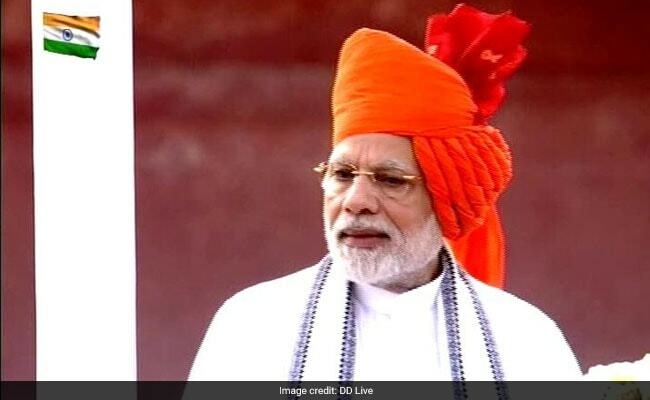 Independence Day 2018: PM Modi announced mega health scheme today. Prime Minister Narendra Modi today announced the long awaited manned space mission by India. 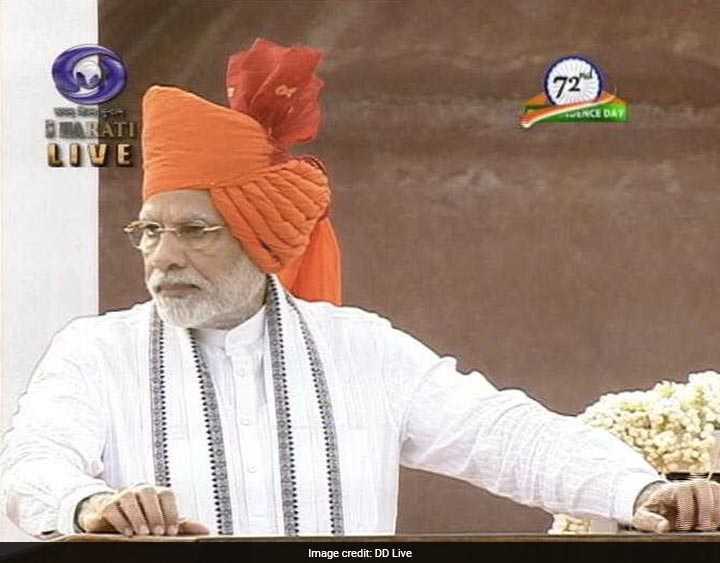 Speaking on the 72nd Independence Day celebrations, PM Modi said: "By 2022, a son or daughter of India will go to space with a tricolor in hand". The other big announcement of the day was the rollout of the world's largest government-funded healthcare programme -- the Ayushman Bharat-National Health Protection Scheme. 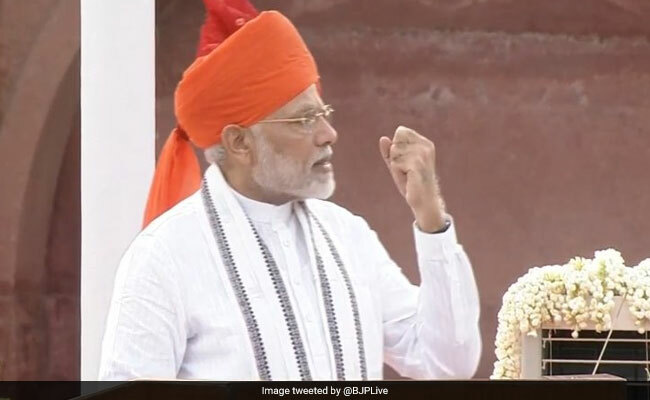 Focussing on the achievements of his government in his fifth and final Independence Day speech before next year's general elections, PM Modi said, "We can take tough decisions because nation's interest is first for us, not party's". India is celebrating its 72nd Independence Day today. 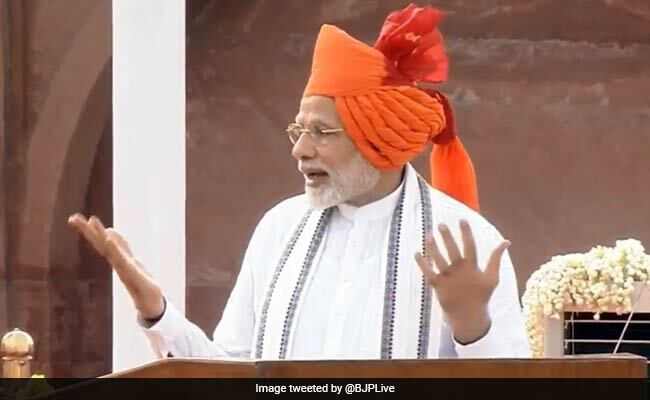 Like every year, Prime Minister Narendra Modi is addressing the nation from the ramparts of Red Fort, his fifth speech after the BJP-led NDA came to power in 2014. For the past three years, PM Modi has invited ideas and suggestions directly from people. According to MyGov.in, PM Modi will pick up some of the ideas in his speech. 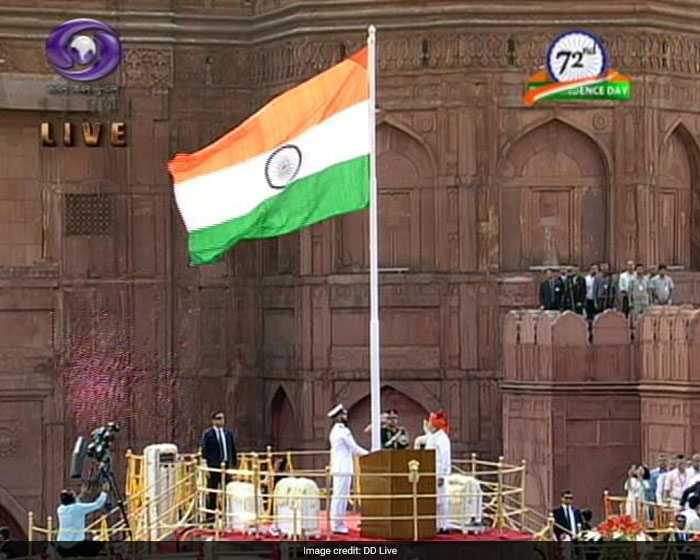 For the 72nd Independence Day celebrations, the Navy is the coordinating service. The Guard of Honour will be commanded by Commander PR Jagan Mohan of the Indian Navy. 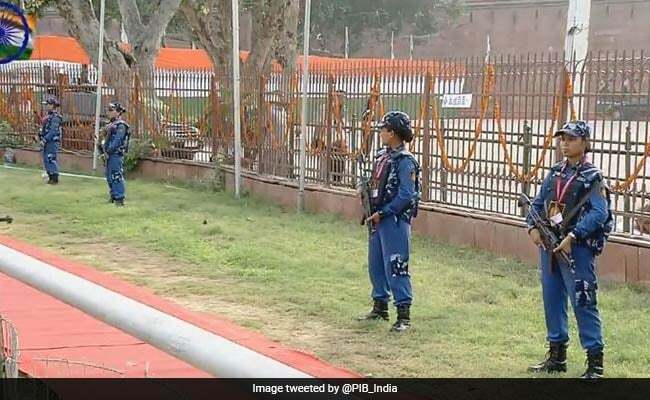 India's first all-women SWAT team from the north east beamed with pride as it provided security cover to the historic Red Fort today on the Independence Day." Prime Minister Narendra Modi today vowed not to spare corrupt and black money holders, saying efforts of his government have freed corridors of power from brokers, enhanced the number of taxpayers and saved Rs 90,000 crore by eliminating bogus beneficiaries." 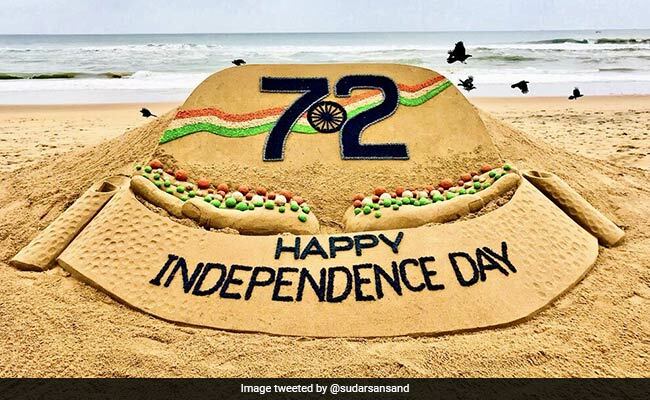 Padma Shri award-winning sand artist Sudarsan Pattnaik has created a beautiful sand sculpture to mark India's 72nd Independence Day." India celebrates its 72nd Independence Day today. 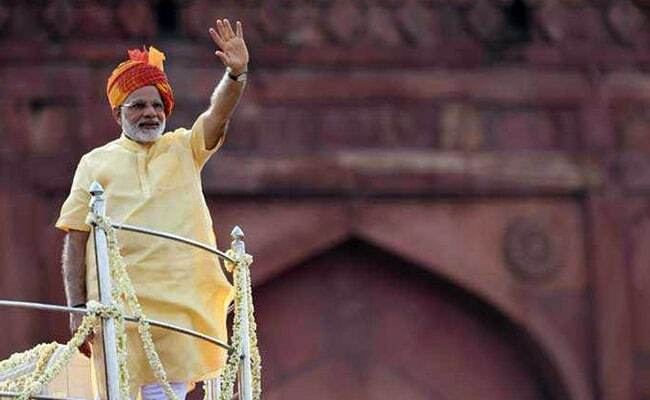 The day will be marked by celebrations all over the country and PM Modi's address at the Red Fort. Here is the Independence Day celebration in pictures." 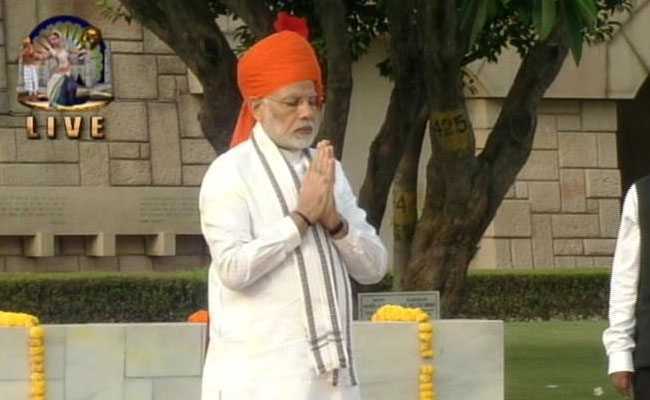 Repeating the words used last year on Jammu and Kashmir, Prime Minister Narendra Modi on Wednesday said Kashmirs problems can be resolved only by embracing its people, not with bullets or abuses." CM Pinarayi Vijayan extended his greetings to all on the occasion of Independence day. It is a celebration of the memory of a great struggle, CM hoped that #IndependenceDayIndia will be a source of hope for the people of Kerala who are battling an unprecedented floods. We are celebrating this Independence Day when every Indian anywhere in the world is proud that India is the sixth biggest economy in the world today. The recently concluded Parliament session was one devoted to social justice. The Parliament session witnessed the passage of the Bill to create an Other Backward Class (OBC) Commission. When 1.25 billion dreams go towards a goal, there's nothing that cannot happen. In 2014, the people of the country did not just stop at forming a government. They got together for nation-building and they will keep at it. India used to be counted in the 'Fragile Five' in the world. But today, India is a multi-trillion dollar investment. Everything has changed. Businesses used to talk about red tape, now they talk about red carpet. They used to talk about policy paralysis, today they talk about reform, perform, transform. By 2022, when India completes 75 years of independence, India will send a son or daughter to the space with the national flag in hand. With this, India will become the fourth nation to send a human to the space. Pradhan Mantri Jan Arogya Abhiyan will be launched on September 25 this year, on Pandit Deen Dayal Upadhyay's birth anniversary. It is high time we ensure that the poor of the country get access to good quality and affordable healthcare. Women officers commissioned in short service (SSC) will get opportunity for permanent commission like men. The honest taxpayer of India has a major role in the progress of the nation. It is due to them that so many people are fed, the lives of the poor are transformed. Atal Bihari Vajpayee showed us the way for Jammu and Kashmir: Insaniyat, Jamhuriyat, Kashmiriyat. We want to go ahead on that road. Not by bullets and abuse, we want to embrace the patriotic people of Kashmir. 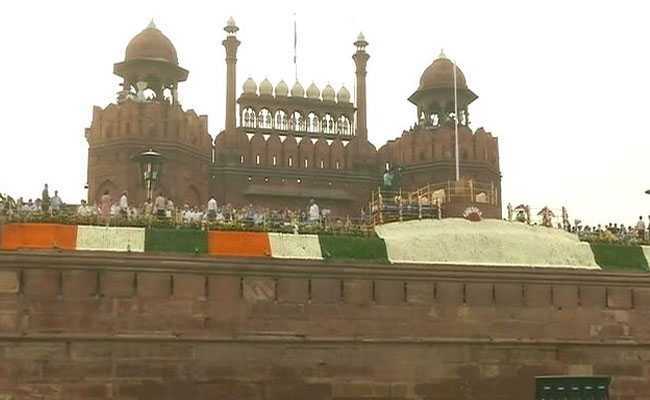 The historic Red Fort, from where Prime Minister Narendra Modi will address the nation on the 72nd Independence Day today, has been put under a heavy security cover, along with other critical areas in the national capital." Greetings and good wishes to all citizens of India on the occasion of our nation's 72nd Independence Day. The nation pays respect to all freedom fighters and tributes to those martyrs who laid down their lives for India's freedom. 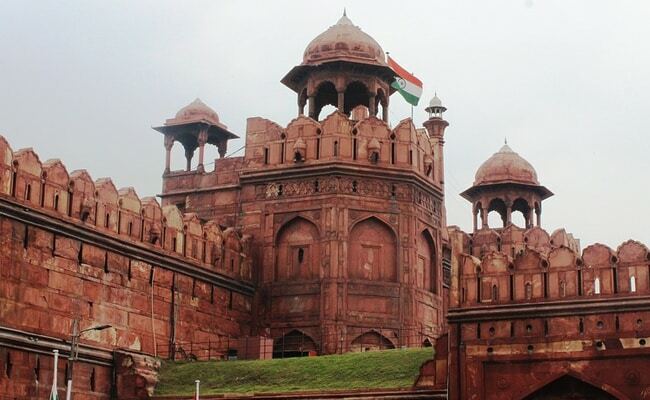 The 370-year-old Red Fort today played venue for a colossal announcement, the ramifications of which perhaps for the first time extend beyond earth itself." "I want to assure my Muslim sisters that while triple talaq has destroyed many lives and adds fear to many. We tried bringing a law to bring it down in this parliament session but some forces opposed it. I want to assure my Muslim sisters and daughters that we will not stop till we end triple talaq"
"I am proud of the fact that three women judges in Supreme Court are delivering justice. Since independence, this is the first cabinet where so many women are a part of the cabinet"
"We have announced Pradhan Mantri Jan Arogya Abhiyan under Ayushman Bharat which will provide insurance coverage to 10 crore families - nearly 50 crore people - up to Rs 5 lakh. It will be launched on Pandit Deendayal Upadhyay's birth anniversary. "The healthcare initiatives of the Government of India will have a positive impact on 50 crore Indians. It is essential to ensure that we free the poor of India from the clutches of poverty due to which they cannot afford healthcare," says PM Modi. "We have announced Pradhan Mantri Jan Arogya Abhiyan under Ayushman Bharat which will provide insurance coverage to 10 crore families - nearly 50 crore people - up to Rs 5 lakh. It will be launched on Pandit Deendayal Upadhyay's birth anniversary"
"In 2014, when I announced the sanitation programme, many laughed at us. Today, we have saved 3 lakh children because of it. "Due to Swachh Bharat mission, lakhs of children can lead healthier lives. Even the WHO has praised it. Mahatma Gandhi led the Satyagrahis to freedom. Today, the Swachhagrahis have to ensure a Swachh Bharat," says PM. 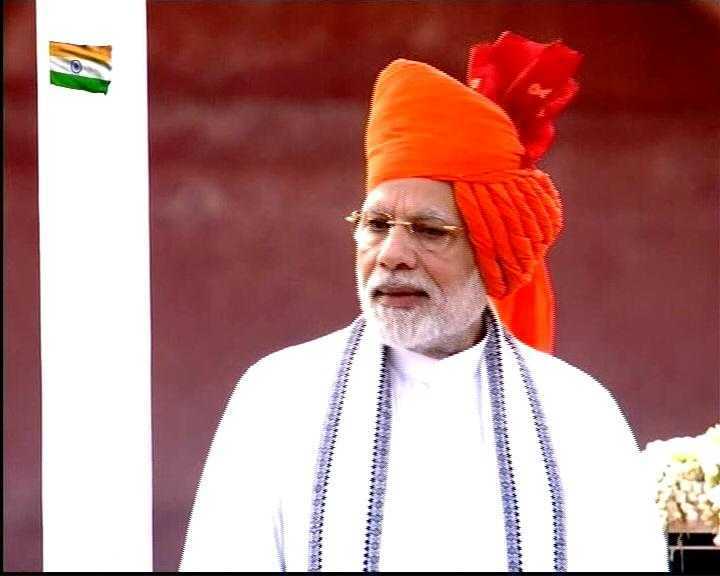 "By 2022 when India completes 75 years of Independence, or before that, a son or daughter of India will go to space with a tricolor in their hands," says PM Modi. "India's scientists have always made her proud. More so when they launched over 100 satellites at one go. When they successfully launched the Mars mission on the very first attempt." "The world that used to talk about electricity blackouts, bottlenecks, today says the sleeping elephant has started walking and will be an engine of global growth"
In 2014, esteemed economists and agencies said Indian economy was risky. When aims are not clear, it takes ages for things to happen. Revision of MSP was a long-held demand but kept getting delayed. We decided to increase MSP to 1.5 times of production cost. Everyone wanted GST but a consensus couldn't be reached. But the country moved ahead once it was adopted despite initial hiccups. "Twice as much roads being built, four times as many houses are being built, record-breaking mobiles are being manufactured, tractors are being sold, planes are being bought"
"We are proud of what we have achieved and at the same time, we also have to look at where we have come from. That is when we will realised the remarkable strides the nation has made"
"Many parts of the nation witnessed a good monsoon but at the same time parts of India have been affected by flooding. My thoughts are with the families of those who lost their lives due to floods in various parts of India"
"We are celebrating this Independence Day when every Indian anywhere in the world is proud that India is the sixth biggest economy in the world today," says PM Modi. 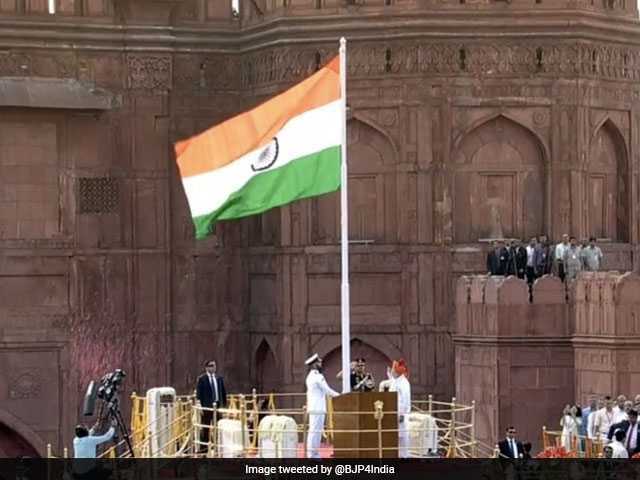 "We celebrating this day when our adivasi children have scaled Mt Everest and planted the flag there"
PM Modi has unfurled the national flag. Flag hosting was followed by the national anthem. 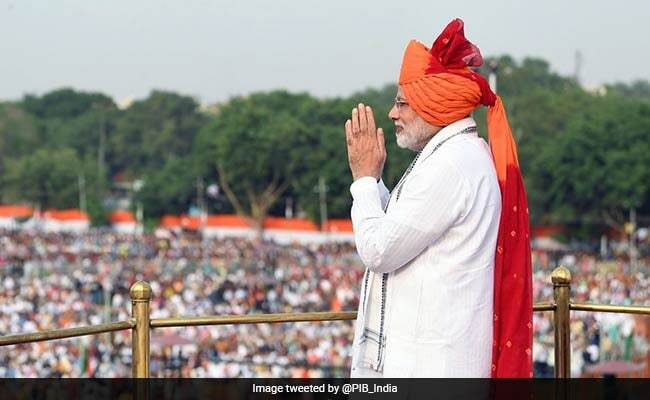 When Prime Minister Narendra Modi addresses the nation from the Red Fort on the 72nd Independence Day today, his fifth and final speech before the general elections next year, he is likely to announce the launch of the world's largest government-funded healthcare programme, called the Ayushman Bharat-National Health Protection Scheme. 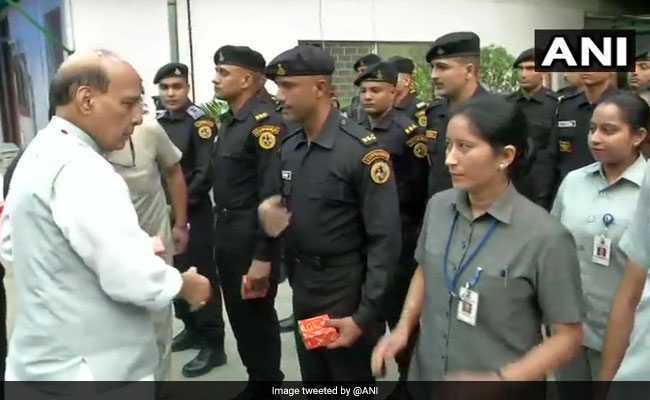 It will be launched on a pilot basis in some states, with the full-scale roll-out of PM Modi's pet project expected in September end, sources said. Ayushman Bharat, popularly referred to as "Modicare", aims to provide coverage of Rs 5 lakh per family annually, benefiting more than 10 crore poor families." Ayushman Bharat, popularly referred to as "Modicare", aims to provide coverage of Rs. 5 lakh per family annually, benefiting more than 10 crore poor families. PM Modi is likely to announce the launch of the world's largest government-funded healthcare programme, called the Ayushman Bharat-National Health Protection Scheme today. 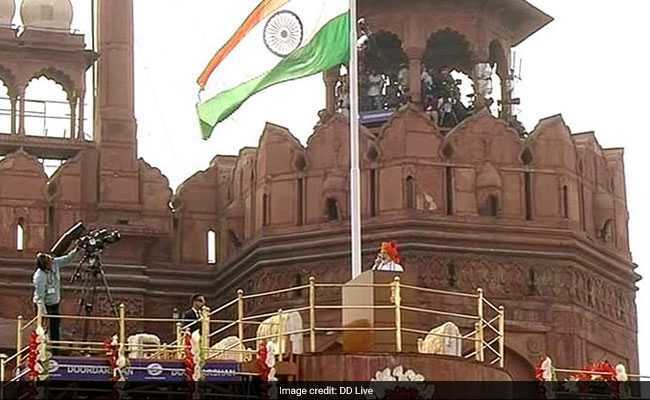 Like every year, Prime Minister Narendra Modi will address the nation from the ramparts of Red Fort, his fifth speech after the BJP-led NDA came to power in 2014.